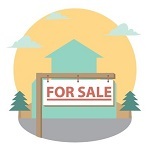 Who's Renting Your Lake Havasu Home? You've heard the saying "don't put all your eggs in one basket", right? To hedge your bet, it's best to diversify. Diversity remains key when it comes to investing. Stocks. Bonds. Money Market accounts. CDs. They all offer differing risks for various rewards. Real estate provides another avenue for investing your money. As a landlord, it's important to know who's renting your Lake Havasu home. That's where background checks come in. But why do you need one and how do you go about doing one? When you do a background check on a prospective renter, check for a history of late or missed rent payments. Find out if they've ever sub-letted without notice or housed more people than they were supposed to. Ask about past drug issues (possession, selling, manufacturing, etc). Did they let garbage pile up? Were they the cause of water or smoke damage on a previous property? Did they fail to let the owner know about a maintenance problem that ended up costing the owner money? Was the property left in good condition? 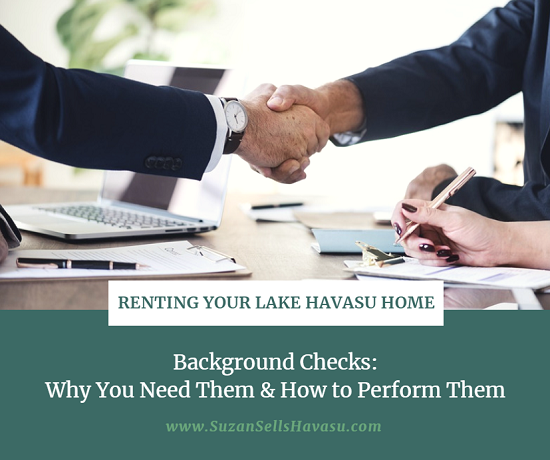 All of these questions should be answered to your satisfaction before deciding about renting your Lake Havasu home to someone. How do You Perform a Background Check? Next, how do you go about performing a background check? If you hire a property management company to take care of your rental property, they can handle the background check for you. However, if you decide to take on all landlord duties yourself, have the prospective tenant fill out a rental application. Places like RentalLease.com and eForms.com allow you to create your own customized rental forms online. Or you can visit an office supplies store like Staples to pick up a generic lease agreement. First step: contact all previous landlords. Ask them the questions I outlined above. Next, talk to their current employer. Then, pay for a credit check and screening. You can find several companies that do this for a fee online. If needed, you might want to hire a professional investigative company to run a thorough background check. This costs much more than a simple online background screening. However, it's still less than if the tenant stiffs you on the rent. It's wise to interview prospective tenants face-to-face when renting your Lake Havasu home. However, you need to be objective. You cannot discriminate based on race, sexual orientation, origin, religion, family status or disability. But you can decide not to rent to pet owners or smokers. And you can limit the number of people allowed to live on the property. For more information about anti-discrimination laws, visit the Nolo.com website.